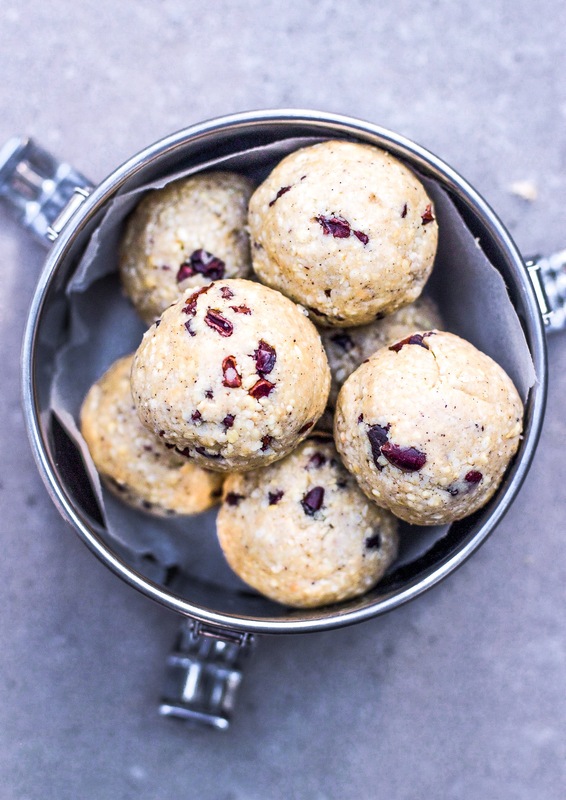 These cookie dough balls are shockingly tasty, it’s crazy how few ingredients there are! 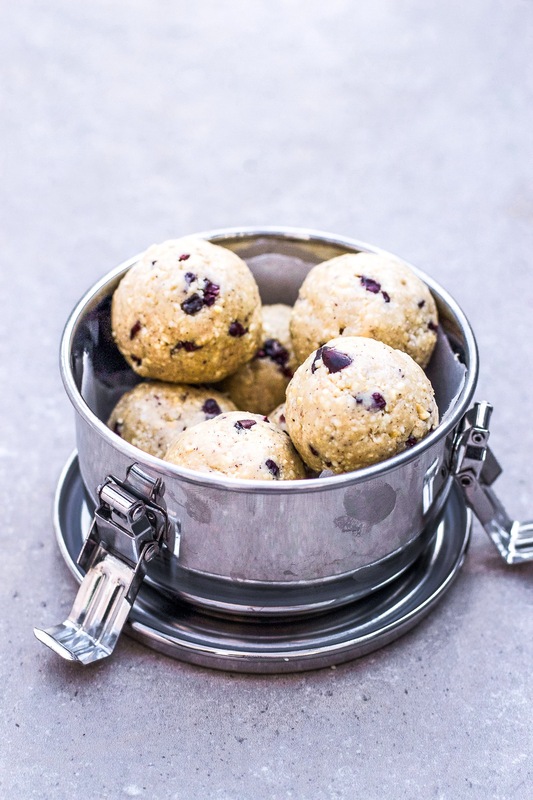 They really, truly taste like cookie dough but they’re mostly made of nutritious cashews so they’re a great source of healthy fats, magnesium and calcium. This batch barely lasted till the end of the photography and were gobbled up the second the camera stopped flashing. They’re one of the yummiest and easiest treats and I make them aaaall the time. Make sure not to leave out the vanilla powder or salt. Preheat the oven to 180’C. Roast the cashews at 180’C for about 8 minutes until golden, then set them aside to cool. Add the cooled cashews to your food processor and blend on high. Keep blending, scraping down the sides as needed, until you have a very fine cashew flour. Add in the vanilla powder and salt and continue blending until it is so fine that it is starting to stick together like the very early stage of cashew butter. If you’re using a vanilla pod, just make a slit down the side and scrape out the powder. Drizzle in 1 tablespoon each of melted coconut oil and maple syrup. Blend on high until you have a mixture like dry nut butter- when you pinch it between your fingers it should stick together. Taste it, if you want it a little sweeter and in another drizzle of maple syrup. Transfer the mixture to a bowl. Add in the cacao nibs or chopped chocolate, mixing them into the cashew mixture. Use your hands to roll the mixture into balls. We continue to search for recipes for sweets that don’t use nuts or bananas in the recipe, as family is allergic to both. Any suggestions are REALLY appreciated. Thank you! These are so delicious my friends couldn’t believe how simple this was to make great recipe thanks!! Just made these tonight and can say that they are absolutely delicious! Could not believe how sweet and indulgent they tasted, and so easy to make, will definitely be trying these again. You can switch cashews for pumpkin seeds and they also taste really good! Ive made these twice now and love them !!! These are amazing!! I shared them on my Facebook page The healthy family foodie . I’m struggling not to eat them all! So easy and simple to make ! I don’t have any vanilla essence but I have vanilla powder. Would one teaspoon of this work well in the recipe? Where do you buy your cashews? Do you know calorie count per ball? They are amazing I’m making another batch!! How long do you think they would keep in the fridge? These are the nicest cashew dough balls I’ve tasted!! Delicious !